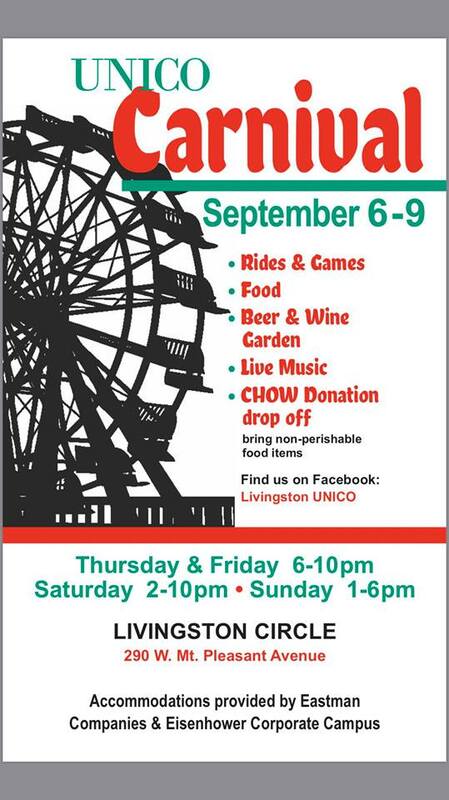 The annual Livingston UNICO carnival is scheduled for Thursday, September 6th through Sunday, Sept 9th, located at Livingston Circle on W Mt Pleasant Ave in Livingston. The four day carnival will have exciting rides for all ages, a wide selection of delicious food, beer & wine garden, live music, and much more. 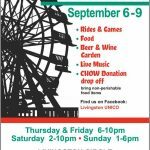 Entertainment at the carnival includes a DJ on Friday night, Jukebox Memories band on Saturday, and Pete Limone on Sunday.